The University of Cape Town's Groote Schuur Campus is situated on the slopes of Devil's Peak in the suburb of Rondebosch. 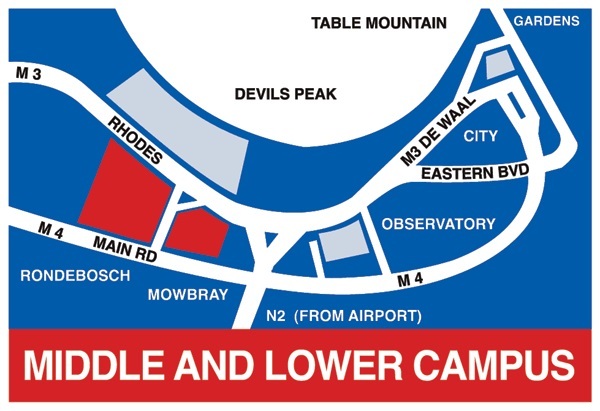 To reach the upper campus from the city, drive along De Waal Drive or Eastern Boulevard, passing Groote Schuur Hospital on the way. Continue straight at the traffic lights on Woolsack Drive, onto the brick-paved road.